New packaging materials, disposable devices and automated systems offer enhanced performance. The core goals of an aseptic fill and finish process have remained essentially the same for more than two decades. Manufacturers of sterile drugs seek to maintain uncontaminated conditions throughout the packaging process, performing the filling and finishing stages in a cleanroom, using only sterile packaging, and releasing each batch only when those packages are sealed. But although the goals of this process have remained largely unchanged, the technology used to perform aseptic fill and finish operations has undergone significant evolution over the past several years. Advances in packaging, automation and efficiency have driven a race toward more streamlined, machine-centric stations for the fill and finish of aseptic drug formulations. This post will analyze several key advances in the field over the past several years, and explain recent developments in each of these areas. New materials have circumvented many issues in the fill and finish of sterile pharmaceuticals. While glass containers have long served as standard packaging materials for aseptic drugs, glass is known to contribute to a number of chemical issues. For example, many pharmaceuticals react with glass to produce lamellae, which often show up as visible flakes on the inner surface of a container. In other cases, the reaction may produce undesirable particulates or aggregates, which are unsightly, and may even interfere with the efficacy of the drug. For all these reasons, a growing number of pharmaceutical manufacturers are replacing glass vials with cyclic olefin polymer (COP) packaging. COP is not only lighter and less expensive than glass; it also displays a reduced tendency to react with pharmaceutical formulations, decreasing the likelihood of issues like lamination and aggregation. In addition, COP containers are far less breakable than glass ones, significantly reducing the probability of incidental damage. Manufacturers are adopting single-use fill and finish systems, though challenges remain. As many pharma manufacturers face increasing pressure to deliver products at lower cost, within a tighter time-frame, traditional stainless steel fill and finish equipment is being replaced by single-use systems, in which the equipment itself is disposable. Single-use systems help increase the efficiency of the fill and finish step, while mitigating a number of costs and risks traditionally associated with it. For example, single-use systems significantly reduce the likelihood of contamination from other stages of the manufacturing process, since the equipment’s only contact with foreign objects is during the execution of the fill and finish step. These systems also eliminate the need to clean and disinfect the equipment, dramatically reducing the amount of water, labor, cleaning agents and other resources needed to prepare the area for the next batch of product. Even so, single-use devices do present several technical issues of their own. Some of these devices offer reduced dosing accuracy, particularly for formulations that exhibit higher viscosity. 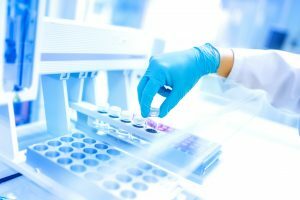 In addition, some drug formulations may leach undesirable compounds from certain types of plastic used in single-use equipment, which means it’s crucial for drug manufacturers to carefully assess any potential interactions between their formulations and the equipment used to process them. Automated fill and finish systems help streamline packaging while decreasing error rates. As a growing number of pharma manufacturers replace traditional steel systems with single-use devices, many are also shifting away from human operation toward automated fill and finish. Automation presents a number of major advantages; for example, automated formulation recipes can decrease the rate of human error, reducing manufacturers’ dependence on training and expertise of human equipment operators. Meanwhile, fill and finish automation also streamlines the packaging process by performing many operations at higher speed than human operators could manage, without the need for a break. 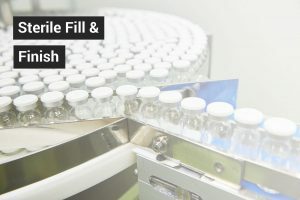 At the managerial level, adoption of automated fill and finish systems can reduce the staff quota necessary to run the manufacturing pipeline, enabling completed batches of drugs to be delivered at lower cost. Even so, automated systems do present a number of unique issues. Most notably, these systems must be programmed to perform every task they execute, and display little adaptability when faced with unexpected changes in the fill and finish process. Over the next several years, developers of automated fill and finish systems will continue to roll out enhancement in robotic vision and machine learning software, which may provide enhanced adaptability with reduced human supervision. 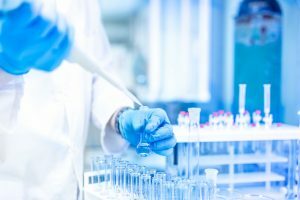 While all three of these trends remain in the early stages of development, it’s already clear that leading pharma manufacturers have gained a number of advantages by adopting each of them. COP packaging helps maintain purer formulations, while single-use systems provide greater cleanliness and efficiency, and automation reduces error rates and streamlines production. As contract manufacturing organizations (CMOs) learn to use these emerging technologies in greater synchrony, pharma developers can expect even more desirable results from their manufacturing partners dover the coming decade.